In 1972, Angela Carter translated Xaviere Gauthier's ground-breaking feminist critique of the surrealist movement, Surrealisme et sexualite (1971). Although the translation was never published, the project at once confirmed and consolidated Carter's previous interest in surrealism, representation, gender and desire and aided her formulation of a new surrealist-feminist aesthetic. 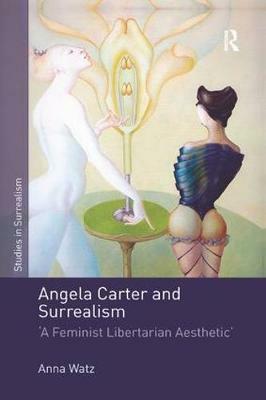 Carter's sustained engagement with surrealist aesthetics and politics as well as surrealist scholarship aptly demonstrates what is at stake for feminism at the intersection of avant-garde aesthetics and the representation of women and female desire. Drawing on previously unexplored archival material, such as typescripts, journals, and letters, Anna Watz's study is the first to trace the full extent to which Carter's writing was influenced by the surrealist movement and its critical heritage. Watz's book is an important contribution to scholarship on Angela Carter as well as to contemporary feminist debates on surrealism, and will appeal to scholars across the fields of contemporary British fiction, feminism, and literary and visual surrealism. Buy Angela Carter and Surrealism by Anna Watz from Australia's Online Independent Bookstore, Boomerang Books. Anna Watz is Senior Lecturer in English, Linkoping University, Sweden.